I misplaced my book for a while. So glad I found it again. This time I refused to put it down again because Mary Oliver in American Primitive took me on a Nature walk. 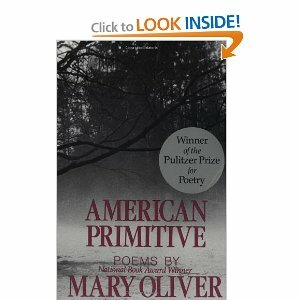 American Primitive by Mary Oliver brims over like the white waters of a waterfall with goodness. It is so easy to see whatever she sees on this walk or to feel whatever she feels. One poem is about a little girl who gets lost. The poet gives the child's name. This made me feel the loss in a deeper way. Her name is Lydia Osburn. There is a poem about Tecumseh whom I want to know more about. I like this part of the poem most of all. "Where are the Shawnee now? When seeing this title offered by Bethany House, I liked it immediately because of the title. However, there was a sinking feeling that the title might not live up to its words. It did not take long to realize the author, David Whitehead, truly intends to help readers Make Sense Of The Bible. This book made me want to pick up the Bible without fear of not understanding any one of its sixty-six books. David Whitehead's book is a small book. It's very easy to understand. 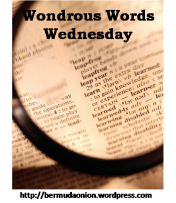 He incredibly and cleverly describes the message of each book of the Bible. http://rosecityreader.blogspot.com It was unseasonably warm for February, even for California. The day was sunny and crisp, and we had a four-hour break during my older daughter's swimming competition, so my younger daughter asked me if we could go shopping. Naturally. 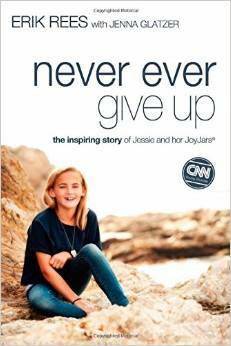 Eleven-year-old Jessie loved to shop, and it had not escaped her that there was a candy store just a few blocks away. Fashion and sweets--combine those two things in a single day, and you could make her as happy as a wren in a birdbath." 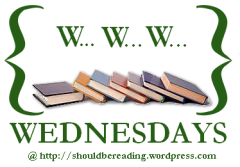 I am currently reading Adultery by Paulo Coelho. The story sucked me in immediately. It's written very honestly. It seems from a woman's standpoint. I can't believe or I should believe he really understands the heart of women. 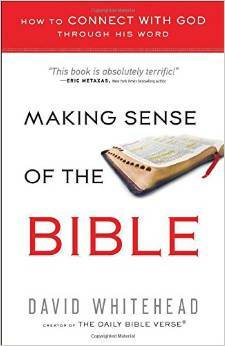 I am also reading Making sense Of The Bible by David Whitehead. It's written very simply which means I can understand it. It's not hard and heavy.This weekend I want to spend time reading a cozy for the mystery challenge and a Donna Leon mystery. I definitely won't get to all of these books. Next, I need to start 'Til the Well Runs Dry by Frances Sharma. 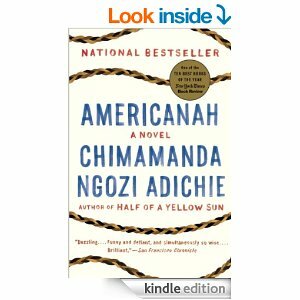 The Literary People of Color club on Goodreads is starting this one on September 1st. 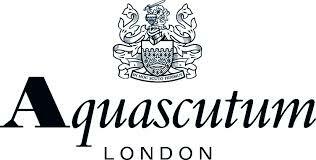 "He wants to ruin my Aquascutum. It was my last birthday present from Georgiana," Emenike said hanging the jacket back behind his chair." "I found America quite jingoistic, too, when I did my fellowship training there." "I'd forgotten that Lagos is so expensive. I can't believe how much money the Nigerian wealthy spend....And they don't just spend a lot, they expect to spend a lot. I met this guy the other day, and he was ...Otherwise, he said, the Nigerian wealthy would not buy. He doubled it and it worked...It's as if we are looking at an adult Nigeria that we didn't know about." "Get up," he said. "You're dreaming." The summer of 1791 is so firmly fixed in my memory that I believe I can never forget it; every detail is as fresh and vivid as if it occurred only yesterday, and looking back, there are times when it seems as if my life never really began until that moment--the moment when I first met him. I really enjoyed this story. 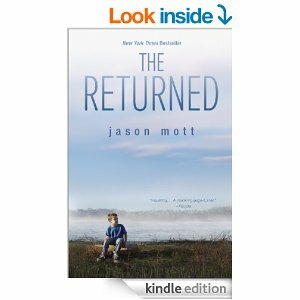 The author writes that it's a mixture of memoir and fiction. Monica and Little Man are brother and sister. Their mother had many problems. She soon dies leaving the children with their father. The father cares a great deal about his kids. However, it's not hard to figure out for a man to figure out the right way to raise two children is not easy. 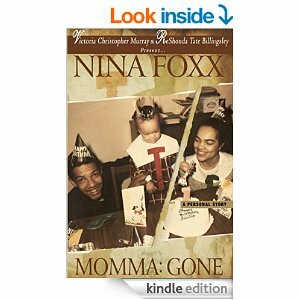 Momma: Gone by Nina Foxx is about striving to survive after a mother and wife have passed away. Whenever I pick up an Evanovich mystery, I expect to laugh. Plum Lovin' proved me right. Although, I laughed more toward the end of the book than at the beginning. 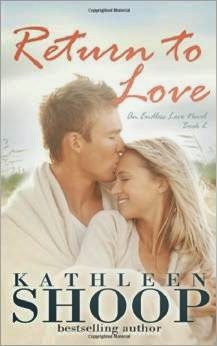 Matching Valentines for that February holiday seemed like boring work for Stephanie Plum. Anyway, things moved less sweetly as the book moved on but not as dangerously as I am use to while reading books in this series. In this one most of New Jersey is in the mood for love including those who have a huge fear of commitment. Albert is scared too death of walking down the aisle of a church and saying I do to a bride. I didn't know men could really be that afraid of taking wedding vows. Then, shynesss plays a part in upsetting love life too. One idea works for the butcher. He will talk about meat. As long as he talks about meat, he can talk. It's when he's not talking about beef and bacon that he loses his courage to speak to a woman who attracts him. 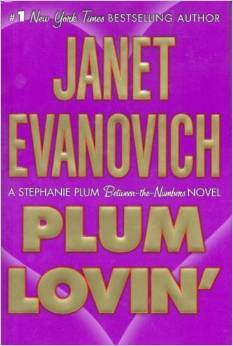 I recently finished Plum Lovin' by Janet Evanovich.
. I am currently reading Momma Gone by Nina Foxx. Also, reading Making Sense of the Bible by David Whitehead. With Pancho and Bushy, two cats, in this cozy I should have enjoyed the book. 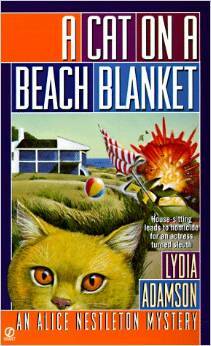 A Cat On A Beach Blanket by Lydia Adamson never really caught my interest. Since it was a short mystery, I finished it. If it were longer, I might not have bothered finishing it. After the car explosion, I lost interest. There wasn't any character in the cozy whom I loved or hated. I guess the book seemed emotionless. It didn't help matters that I never cared for the amateur sleuth, Alice Nestleton. I wanted to like her. She gives her time to house-sit in Hollandia, New York. That's such a nice thing to do for a friend. Plus, she's a New York actress. I like to read about actors and actresses. Her vocation didn't make me like her either. "He didn't kill her, Nick." 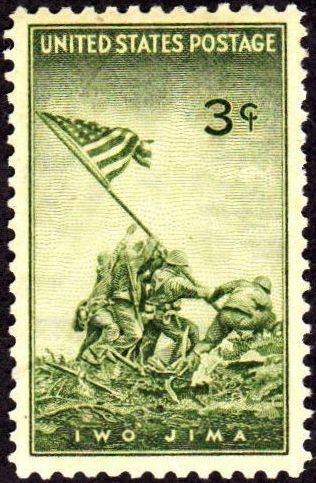 "Still, Henry's mother turned the radio off and on near his(the father) bed when there was a report on the fighting in the Philippines, or Iwo Jima---each battle in the Pacific drawing a breath closer to the expected invasion of Japan itself, a daunting task since Premier Suzuki had announced that Japan would fight to the very end." filtering through the volcanic blooms-- red, gold, red--to where masked beetles gather round their furred, subsident throne. and the webs shiver into view--dense, fine as a sawfly's coigned, multipicated eyes, lifted, face to face. Quoins are masonry blocks at the corner of a wall. They exist in some cases to provide actual strength for a wall made with inferior stone or rubble and in other ...Free Dictionary-Wikipedia. Besides loving the beauty of this Southern Californian trail, I had the chance to learn an important and Godly lesson. It is one I've not put to use in my life. 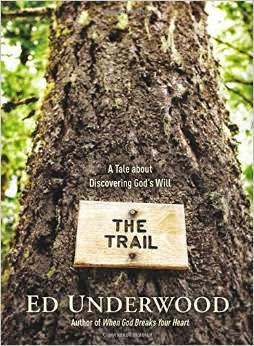 Well, not like Ed Underwood puts it to use in his life. This ex-fire fighter and now pastor takes a young couple named Matt and Brenda under his earthly wing and teaches them how to make an important decision in their life. The lesson will serve at this point in their life and for the rest of their lives. The lesson is really how to lean on God and less on our personal wit and wisdom. Whatever way it is worded, the lesson is how to know God's Will in life. Then, how to trust God and walk behind Him and not in front of Him. God never needs our leadership skills. We are His students. "The last time Henry had had dragon's beard candy was long before Ethel got sick. As he bit into the thread-thin strands of sugar, wrapped around a filling of grated coconut and sesame seeds, he watched Marty smile, nodding in approval--as if to say, "See, Pops, I knew you'd like her....It was delicious. "This takes years to learn to make, how did you..."
Clementine and Martha became three dimensional characters. I felt as though they were neighbors in my community. 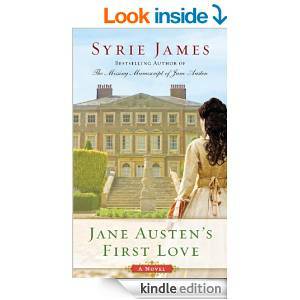 The novel is about a couple who have a first child. However, that child is stillborn. Outside of the womb, the heart and lungs never reacted to stimuli. On arrival, the baby is dead. 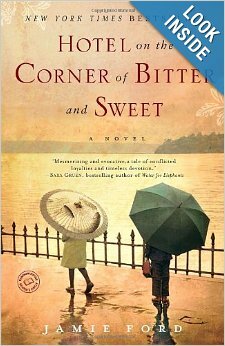 The novel is about April and Hale's pathway through grief. Sadly, April gives birth without Hale. He is on the battlefront in Vietnam. So he wasn't beside her during the birth of the baby.